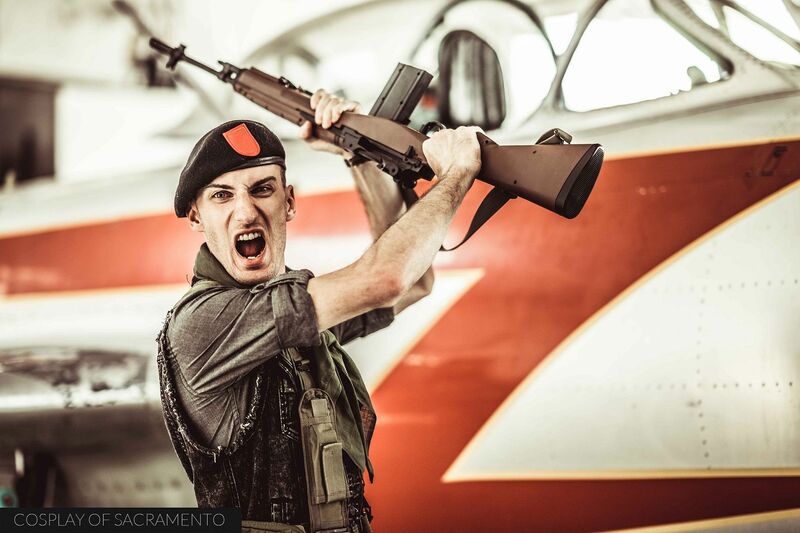 The Cobra 1st Legion planned a very special photoshoot at the Oakland Air Museum on July 24th, 2017. The shoot would be centered around the Dreadnoks, a gang affiliated with GI Joe's enemy Cobra. I fondly remember the Dreadnoks in the old GI Joe cartoon and comics in the 80s and 90s. They didn't have the tech that Cobra had at their power, but they did have a lot of fun and colorful personalities. 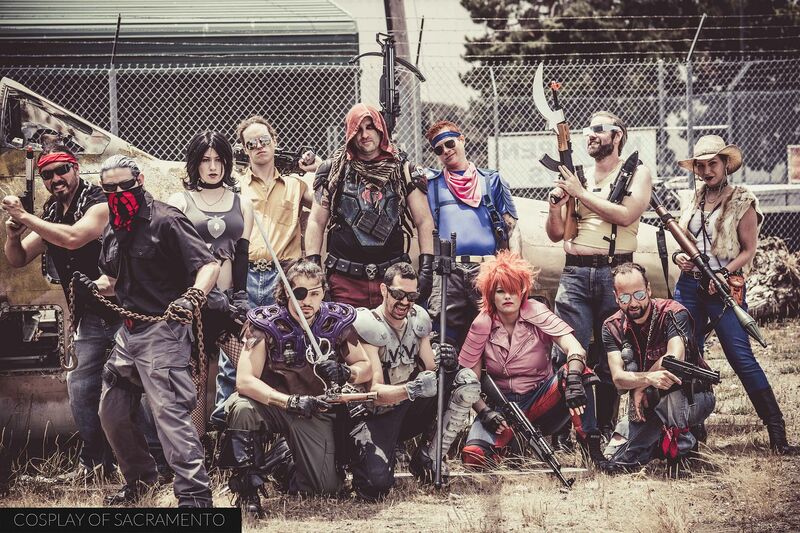 I knew that with the Dreadnoks as a theme this shoot would be a ton of fun. We arrived at the Oakland Air Museum and began with some individual portraits inside the main hanger area. Each person that came out got a few individual portraits in front of one of the planes in there. I always prefer to do something with a little personality so I had each person pose in a way that expressed the character that they were cosplaying. 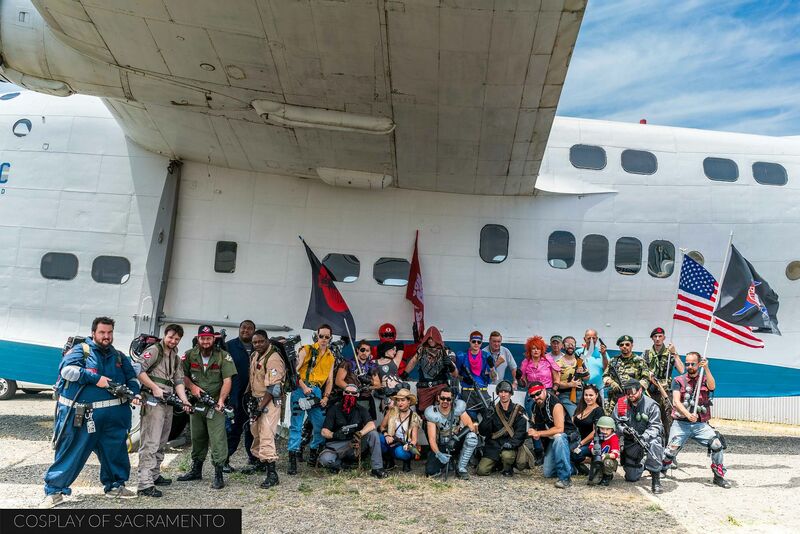 Besides the Dreadnoks we had members of GI Joe, Cobra, and other fandoms in attendance. Going outside we took advantage of the areas around the planes to get some action shots done. Here's a pic of Low Light kicking Zartan, the Dreadnok leader, in the stomach. Shooting these action sequences was probably my favorite as capturing action shots is what I like the most. It's fun to get different angles of the action that is going on. I have a heavy influence from comic books, so often I like to take pictures that could have come out straight from a comic book panel. Poor Big Ben! It looks like Firefy is really giving him a hard time in this photo. You'll notice that most of the photos have a heavily stylized look. 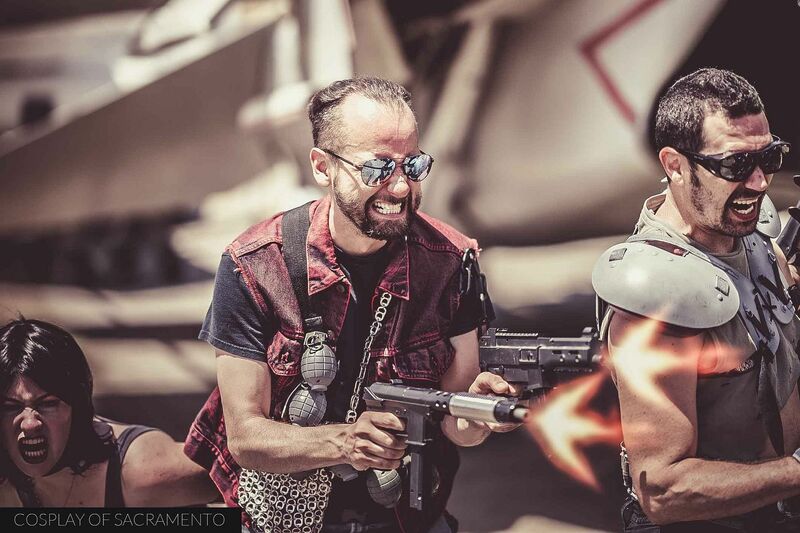 I purposely wanted to edit the photos in a way that brought out some of the grittiness of the Dreadnoks. I felt that this particular palette of colors gave an older feel to the pics. Since this era of GI Joe cosplay was centered in the 80's, I wanted to go for an 80's feel. All the colors are there, but they are muted. I didn't do this for too many of the photos, but for some I did dip into Photoshop to add some gunfire and graphics. In the GI Joe cartoon, the Joes and Cobras didn't really actually fire bullets, rather they fired red and blue laser beams at each other. I guess that was to keep the cartoon less violent, but I wasn't about to do that for these shots. I was able to find some nice gunfire graphics to use for this and other photos. This was a really successful event and all who attended had a really fun time. The Oakland Air Museum was very accommodating to us! 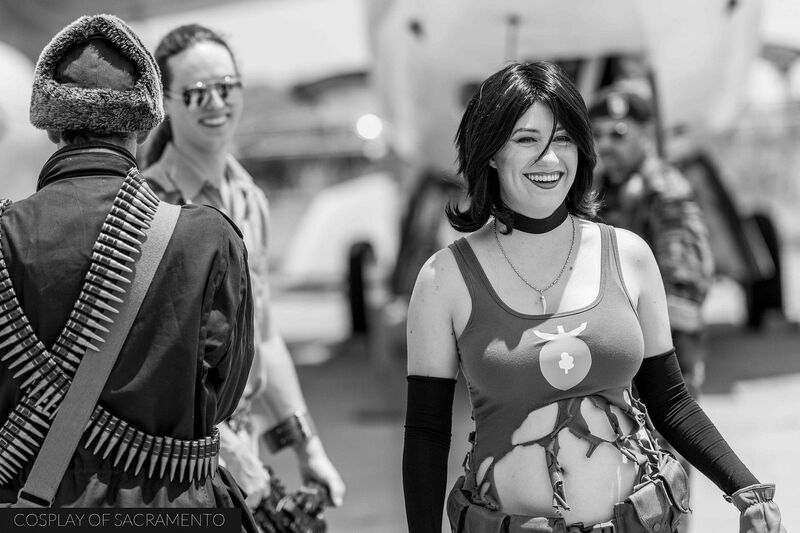 It was all smiles as the Cobra 1st Legion took photos, check out the planes, and made some videos! What a great day out in Oakland! Thanks to all who came out and a special thanks goes out to the organizers of the event. I felt everything went smoothly. Here's a pic of everyone who came out (except for the Mandolorian Outer Rim guys). Check out all my photos from this awesome event by CLICKING HERE. I made it to the third day of Wizard World Sacramento! Today's scheduling was the shortest of the three days, and it happened to be father's day too, so I really wondered what the turnout would be like. Would the con be a ghost town? Hopefully not! Like I said in my previous post, the attendance this year for Wizard World has been underwhelming, and it was again for this third and final day. But that being said, there's no reason not to enjoy the con experience. If anything, less people would mean more room to roam around! Though overall there were fewer people out at the con, I still got to see good friends like Jess and spend time with them. Winning! 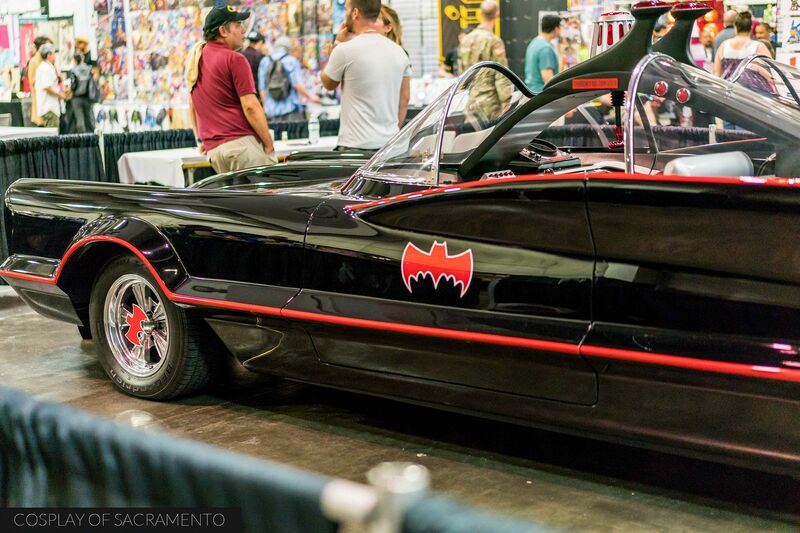 I didn't have a photo of it until now, but the old school Adam West style Batmobile was on display. You can clearly see and admire it, but getting inside in the seats would require a small fee. I personally didn't think the fee was unreasonable, so if I were a huge fan of the old Batman series, I'd definitely spend a little money to get inside of it. The car was in great shape - mint condition from my viewing angle of it! I've done this before! 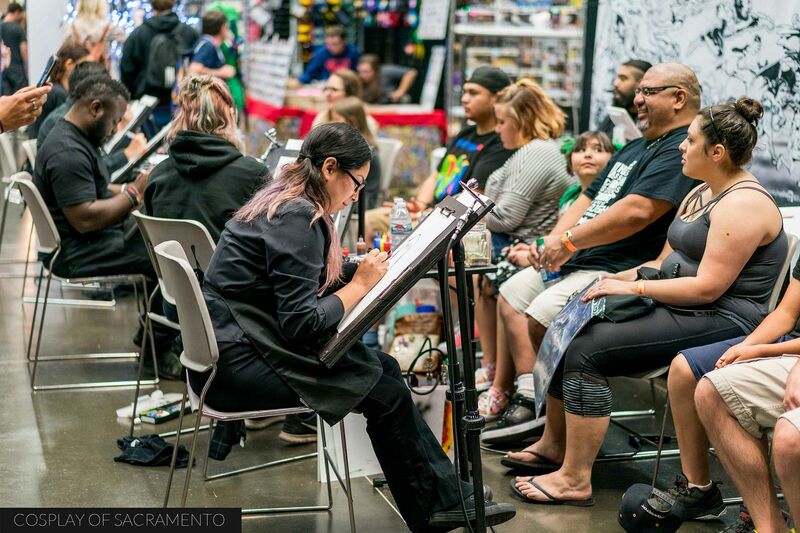 Many folks got the chance to get a caricature drawn on themselves or with loved ones/friends. I'm always amazed at how good these artists are at making a simple cartoon drawing really look like you. It looks like this family is getting a caricature portrait done for themselves. What a great little thing to remember father's day with. I'd definitely find a place to hang up the finished drawing. Looking for love? This Wizard World vendor had you covered! 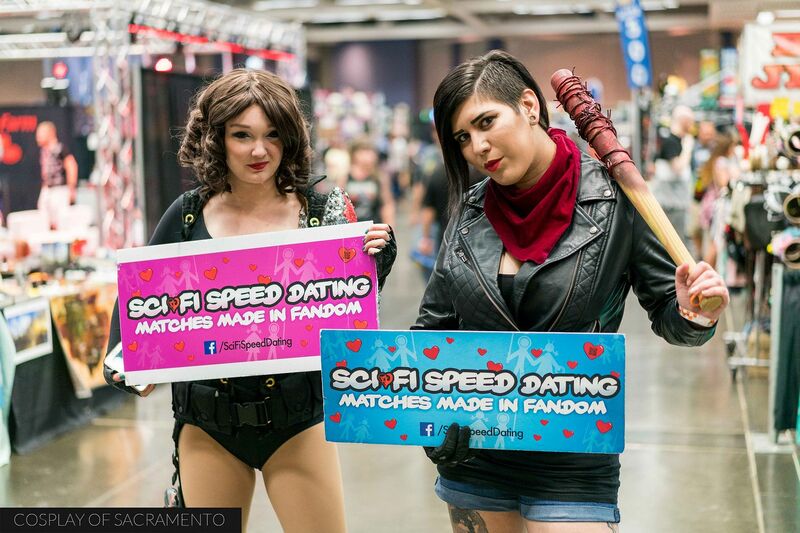 Throughout the weekend, people could sign up for a session of speed dating. This sounds like a pretty fun idea that I hope a lot of people took advantage of! I mean, what better way to meet people who are interested in possibly the same thing as you? 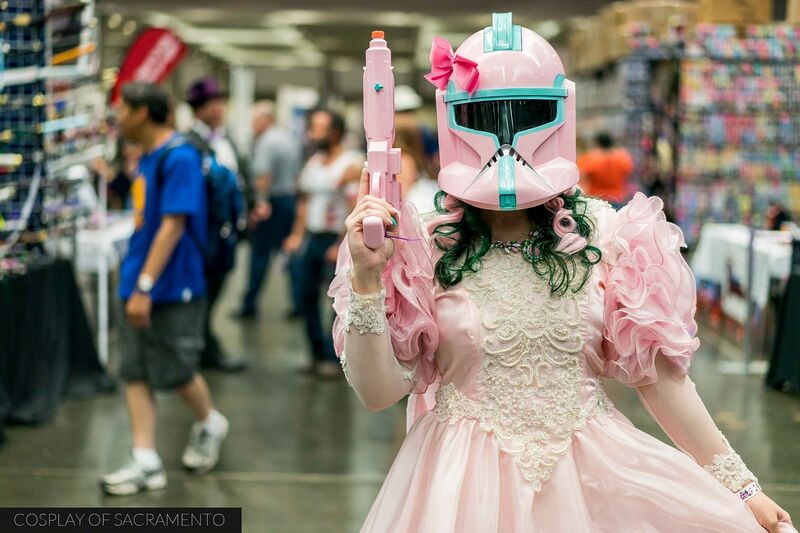 I think this idea is fabulous, and the girls going around promoting it had some pretty sweet cosplay going on! Kids got to show off the cosplay on the main stage today. It was really cool to see a lot of people at the main stage cheering the kids on. There were a lot of really nice cosplay to see. 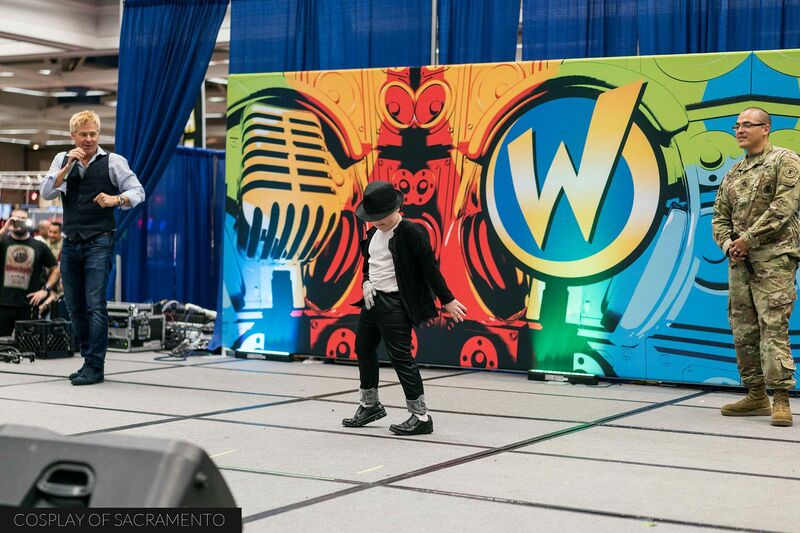 This Michael Jackson cosplayer not only had the look, but he had the moves as well. They cranked up the music for him and he impressed us with his dance moves. Well done kid! I did not leave empty handed at the con. On Saturday I got the chance to pick up a premium format Baroness statue that I had been eyeing for a while, and today I picked out some Uncanny X-Men titles to enjoy. 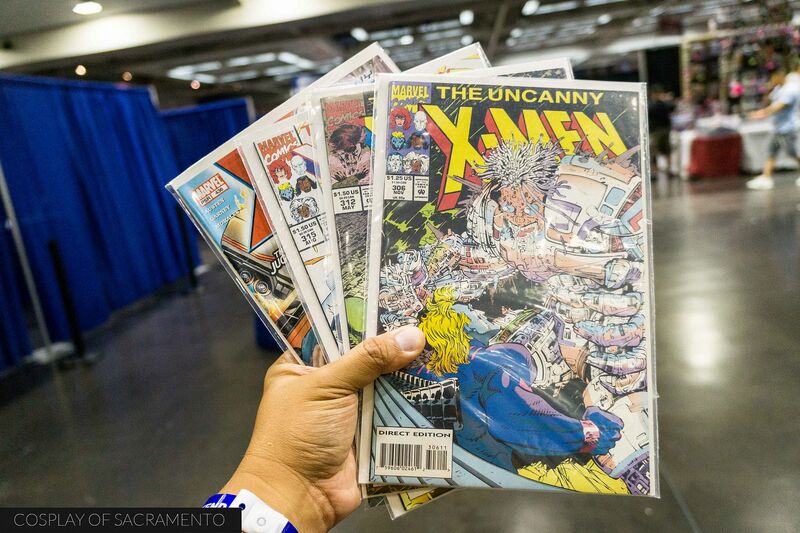 I have a pretty decent collection of Uncanny X-Men, and I try to get any issues that I do not have yet. These books were just a dollar each. What a great price! I probably should have gotten some more, but I only have five bucks on me the entire time. I couldn't leave Wizard World without getting a few more shots of Maid of Might. Today she was in a Spider-Man themed suite that looked fabulous on her. We went off to a quiet part of the large hall and did a short photo session similar to the one on Friday. I liked these photos better than the ones we did that day! I hope Maid of Might gets to come back to Sacramento soon, a photoshoot on location outside of a con would be so awesome! This year's Wizard World was a mixed bag for many. I know a lot of people who didn't attend because of the cost factor. The people at Wizard World need to make money in order for their business to run and for it all to work, but as of now, that's what I think contributes greatly to having low attendance. I'm no economist, so I don't have any solutions, but I do hope changes to the pricing structures can be made so that more people feel that they can afford this con. Wizard World has gotten smaller each year since I first went a couple years back. I really want that trend to reverse... but I'm not pinning any hopes on that! Thanks for coming again this year Wizard World. I'd love to be back again next year! For now, if you'd like to check out my day three gallery, CLICK HERE. I thought yesterday was a bit of a slow start for the first day of Wizard World. Today it was definitely a lot livelier with a much greater number of people in attendance. I was definitely excited to see what people would bring in terms of cosplay today. A couple of my favorites were these two lovely ladies (@andieinreallife and @facesbyrachie on Instagram). Their cosplay was on point and they were taking pictures with everyone. 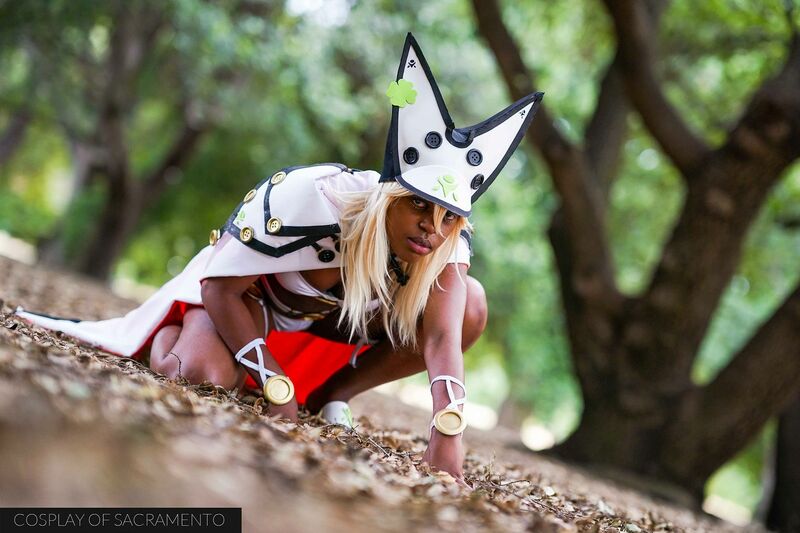 Here's a cosplay that stood out in many ways! First of all, it's big! And unless you've been hiding under a rock recently, you'll know that this is a fidget spinner - one of the most popular toys currently. 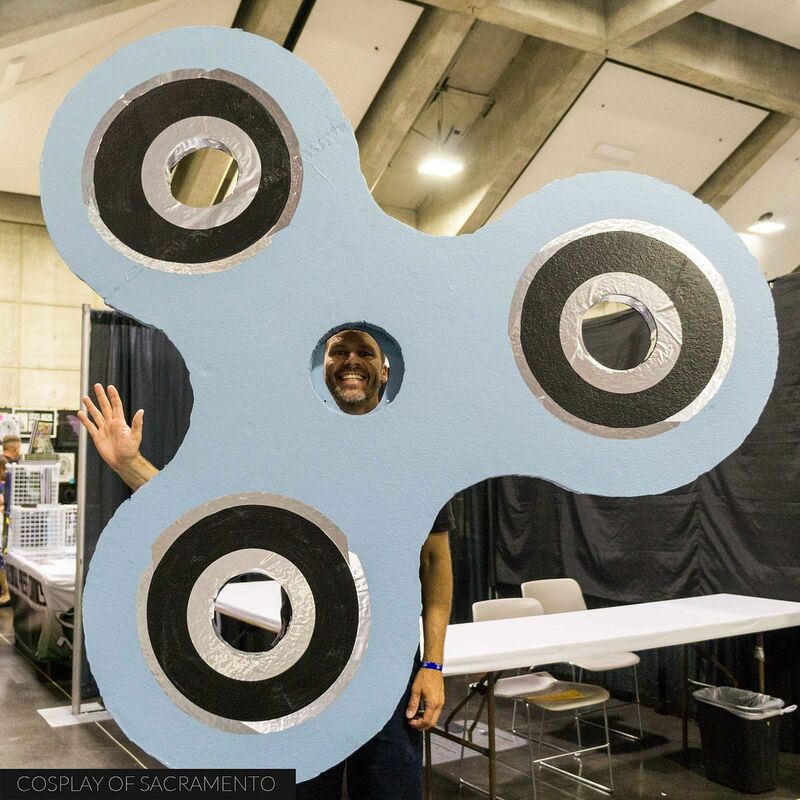 Not only does this cosplay look cool, it actually could spin around and around. This guy definitely gets bonus points for making this thing work. Toy fidget spinners could be found all over the main hall as dealers were stocking them in all shapes and forms. Similarly to yesterday, the main stage near the entrance was where a lot of the entertainment was going on. 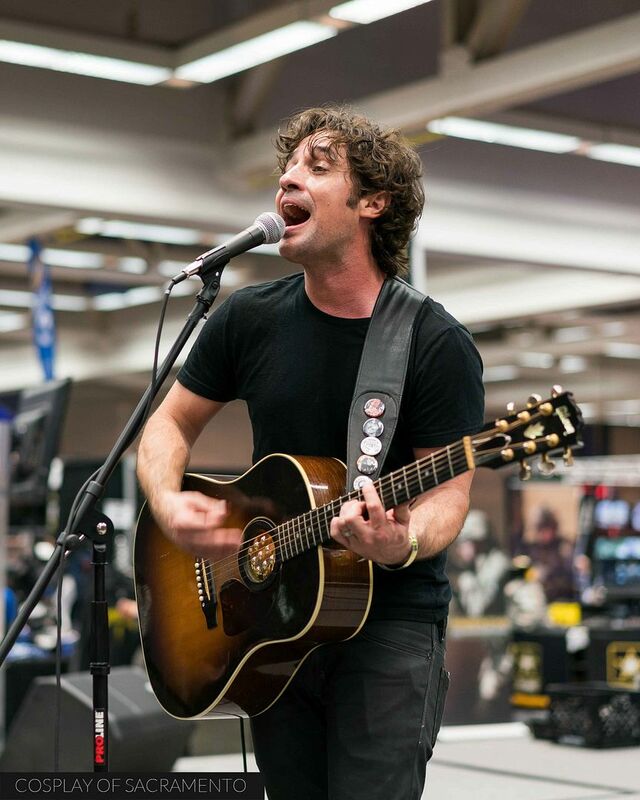 I walked into Wizard World to a full band rocking out for the con goers. A lot was happening throughout the day here. One of the most memorable moments was a special tribute to Adam West. Wizard World took a moment of silence to remember him as he had just passed away the week prior. It was pretty cool to experience the entire hall go quiet for that short time. On the stage various Batman cosplays were represented as well as the Bat symbol shown on all the stage's screens. The panel stage towards the back of the hall didn't have any time off today. The schedule was packed with interesting things to learn about. 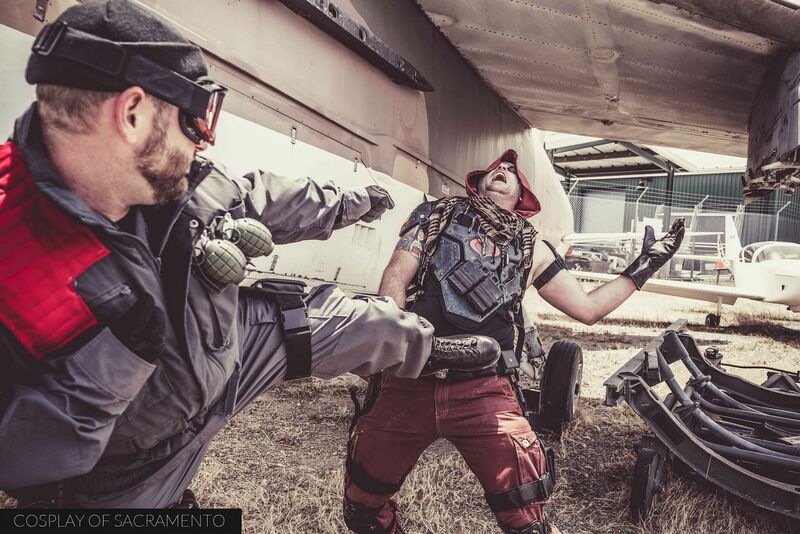 The photo above is of a cosplay panel talking about how to create cosplay on a budget. 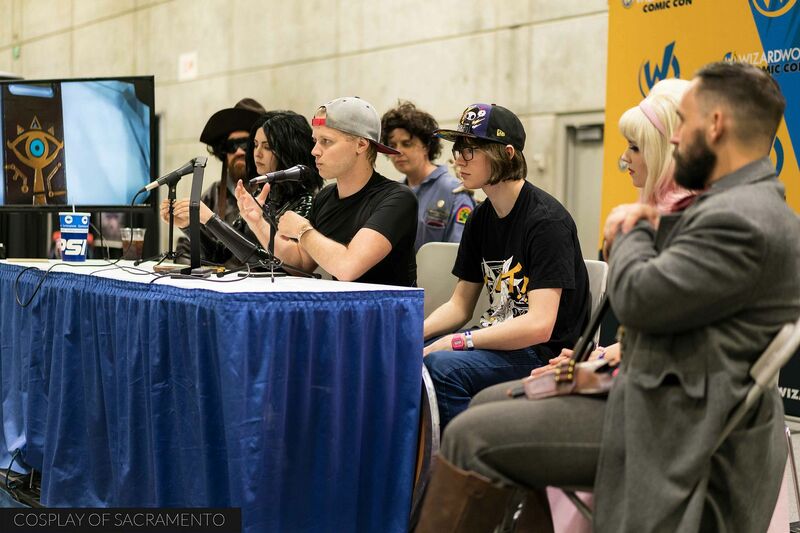 It was great to see local cosplayers on this panel giving advice to those in attendance. They had quite the crowd listening - hopefully they learned a lot and will put what they heard into practice in the near future. 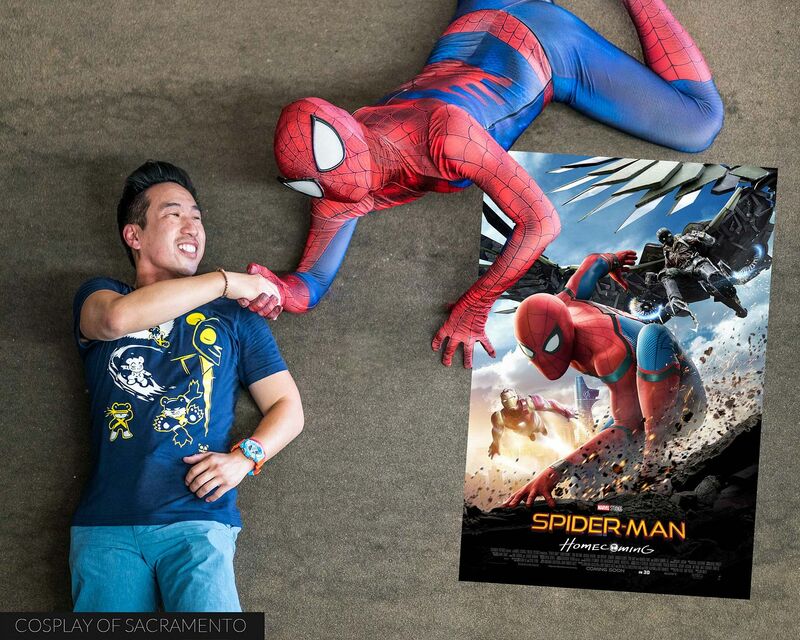 I took a break from the indoor action and braved the sweltering heat to hang out with my friends Cassie and Skye on a little shoot Skye was doing as Spider-man. While Skye was off shooting, Cassie and I did a few pics. 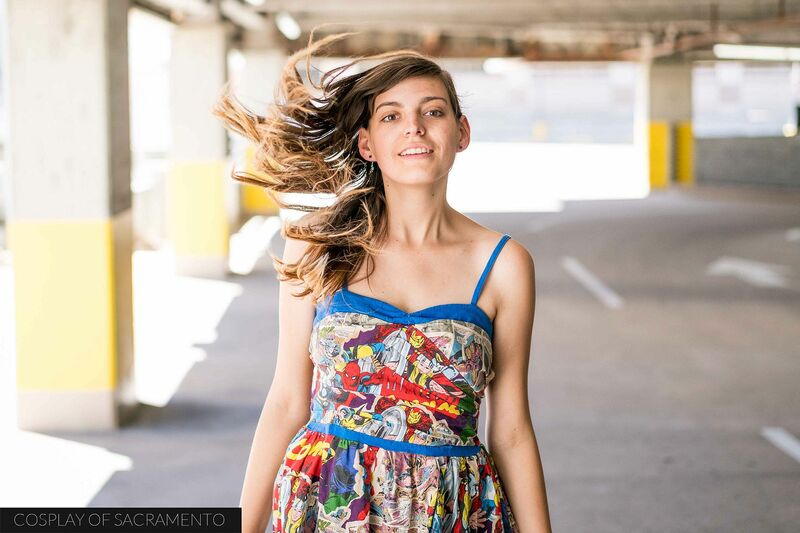 It was a nice time to test out my new camera's high speed shooting so I had Cassie do some hair flips. Good times! I didn't want to hijack Skye's photoshoot, but I did get to take a few shots at different angles while he was shooting with Les. Towards the end of the shoot we did a few fun photos with the both of them together. Here's an edit I did of Skye shaking Les' hand while sticking to the wall. I love how Skye always has fun creative ideas for photos. 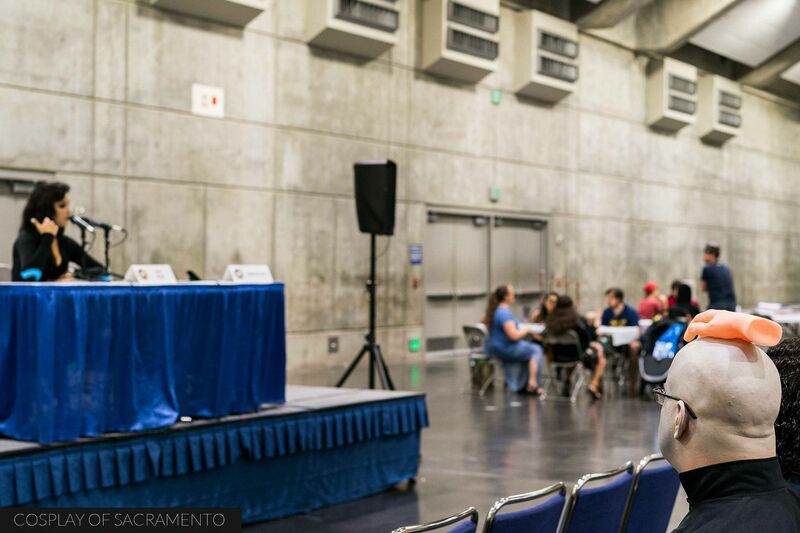 Though today's turnout for the con was better than yesterday's, I felt that the attendance was lacking. And the overall energy of this con was low. 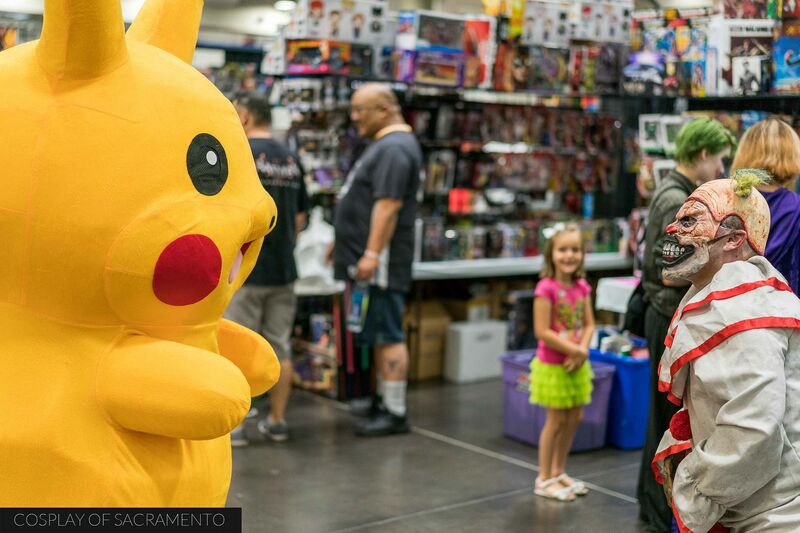 Wizard World has a lot of fun things going on and some stellar special guests, but it is also a con that charges a lot in order to get the full benefits. Those on a budget are probably priced out of the con, sadly, which of course would decrease the number who could attend. The combination of triple digit temperatures and Father's Day/Graduation weekend probably didn't help either. 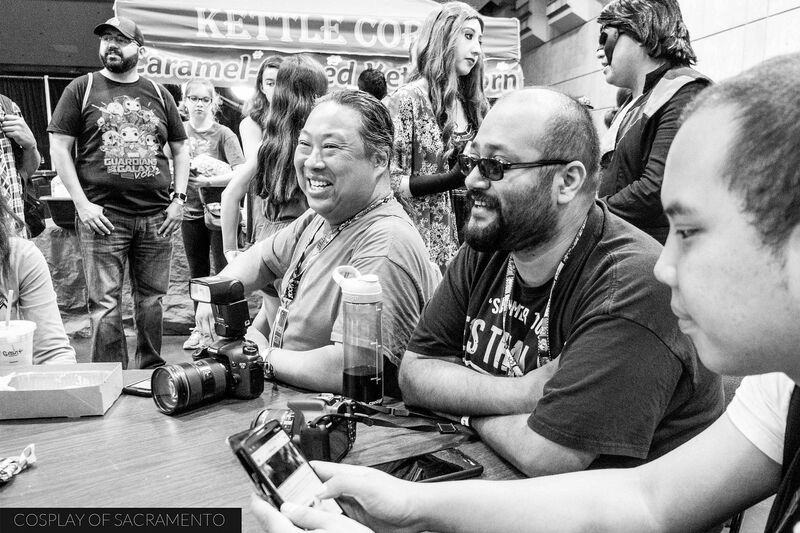 Thankfully, I still had fun - especially with the cool dudes from GeekHQ. Day three coming up to finish out Wizard World tomorrow! Check out my gallery of day two photos by CLICKING HERE. 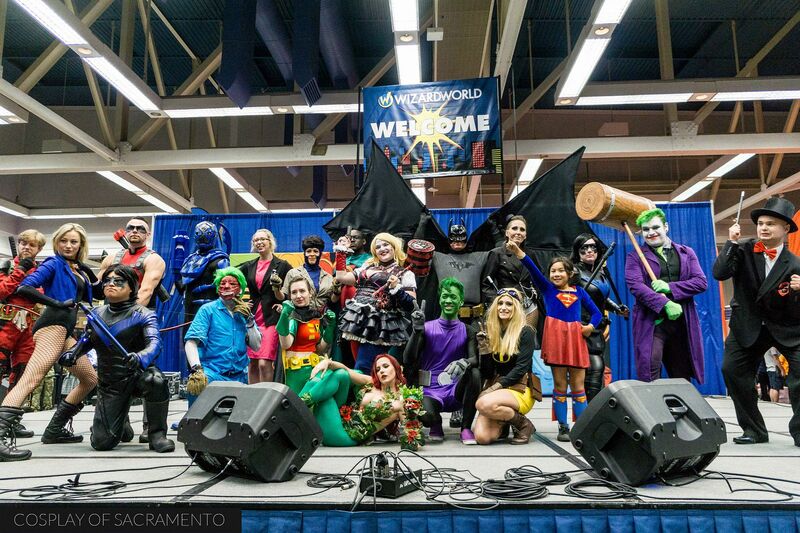 Wizard World has made its way back to Sac on this very hot weekend. With temperatures climbing into the triple digits, it's got me wondering if people will leave their air conditioned homes and come to the convention center. This first day of Wizard World was a little slow, but that's expected for a Friday as cons usually don't reach full attendance until Saturday. I actually enjoyed the more relaxed atmosphere as it gave me a chance to get a lay of the land and acclimate myself to the ins and outs of the show. Since my focus is always on the cosplay, one of the first places I went to was the guest cosplayers area. This is the place where some very talented cosplayers are featured. I remember meeting Brit Bliss last year, and she looks even better now! She had a variety of prints to look at and purchase. It was awesome seeing her at the show again. Maid of Might was another of the special cosplay guests. 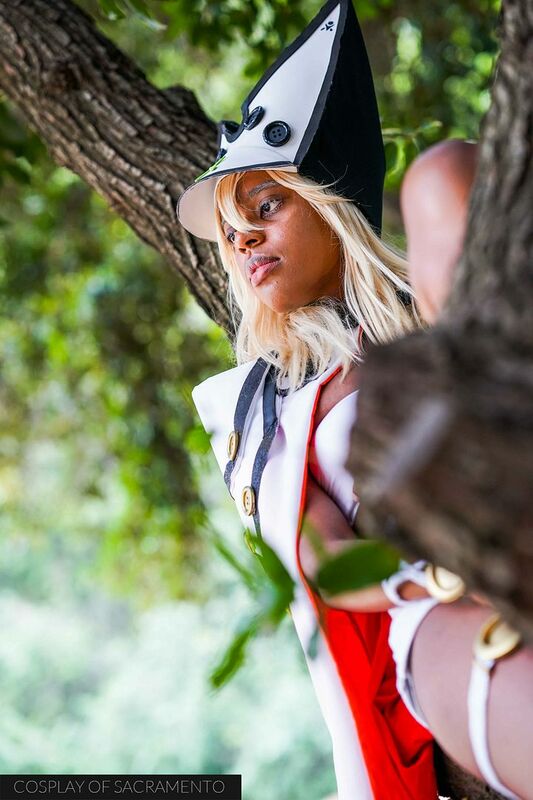 She's actually a very well known and respected local cosplayer, but recently moved down to Southern California. It was awesome seeing her again as her cosplays are some of my absolute favorites. We actually got to do a little impromptu photoshoot behind her booth. You can check out the photos from that in the link at the end of this posting! 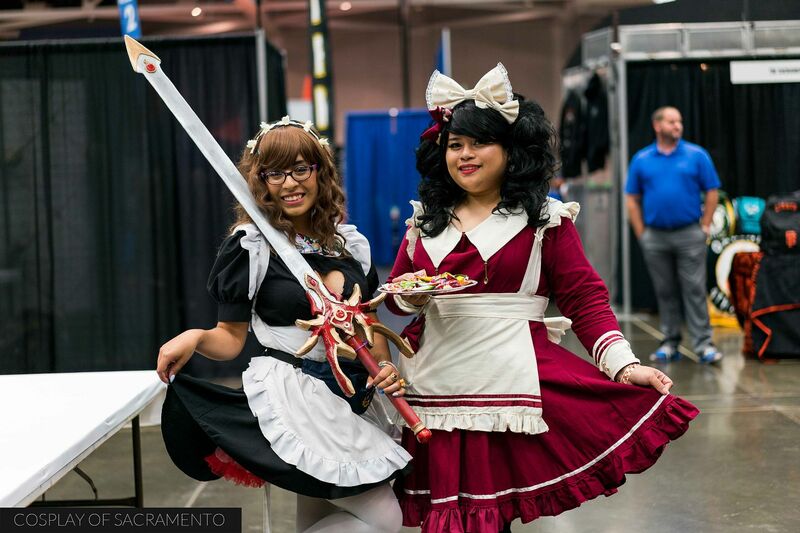 These cute maids were walking around the con encouraging people to go the maid cafe. The maid cafe is a little part of the convention where you can go to chill, play games, or relax. I passed by the maid cafe quite a few times as I was making my way around the hall, and each time it looked like there was a lot of fun going on in there. These girls were also passing out candy to people. I usually don't take candy from strangers, but I would make an exception here! Fandom gatherings usually take place on a staircase or large area outside the main show area. For the first time (I believe) in Wizard World history, the gatherings were to take place on the main stage at the con entrance. 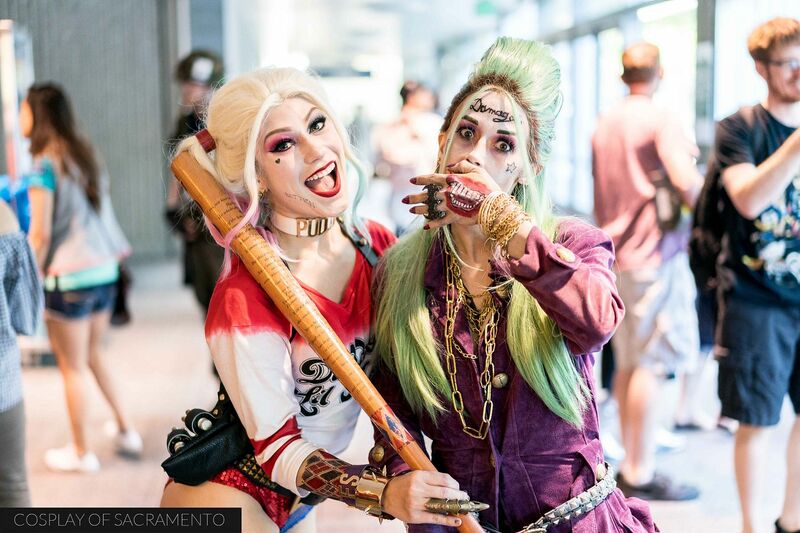 DC cosplayers got the chance to take center stage and show off their awesome cosplay first. This is a DC gathering... but if you look closely, there may be a Marvel character getting some of the limelight as well. The main hall of Wizard World was broken up into different sections where different things went on. Different areas featured various panels to sit in on. There were regular panel rooms as well, but I thought these public panels on the show floor were an interesting idea. Here we have Brit Bliss holding a panel on cosplay. Checking the show's program is critical in figuring out where to be for the various panels being held at Wizard World this year. You gotta make sure you're in the right spot! 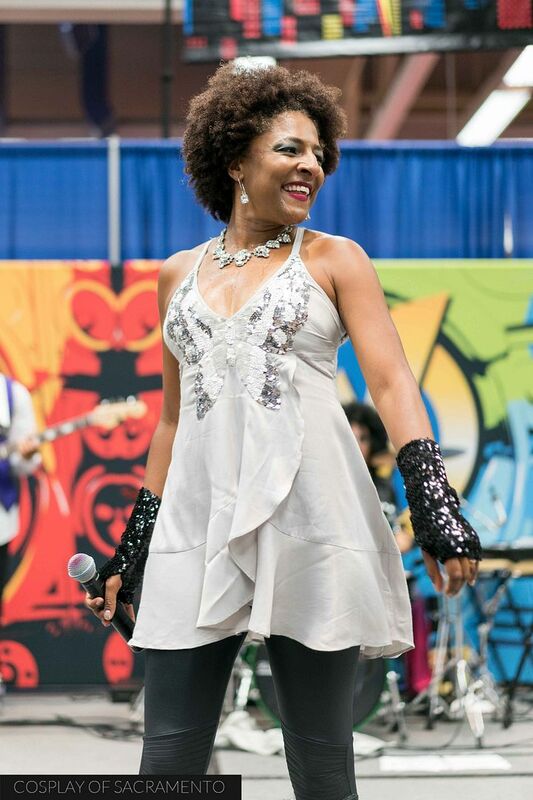 One thing I really appreciate about Wizard World is its focus on entertainment. There's always something going on somewhere. Music, dance, and other forms of entertainment could be seen just about everywhere you looked. If I got tired of walking around, it was awesome to just chill out and listen to some music coming from the stage. It was a really nice beginning to the con. I saw some great cosplays around the main hall and enjoyed the sights and sounds all around. Tomorrow should be a much more packed day. Getting some rest is going to be key in being able to have energy for the entire day. If you'd like to see all my photos from this first day of Wizard World, CLICK HERE. 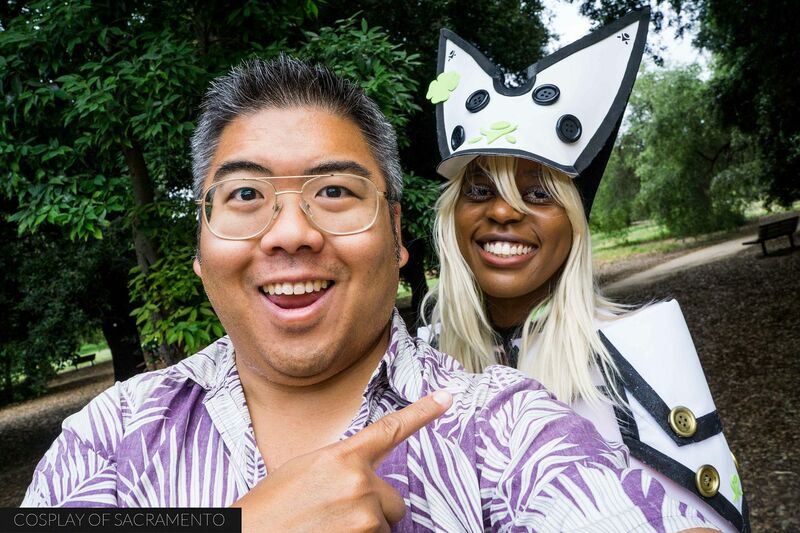 This past Tuesday I met up with Munstress, a cosplayer out of Sacramento. 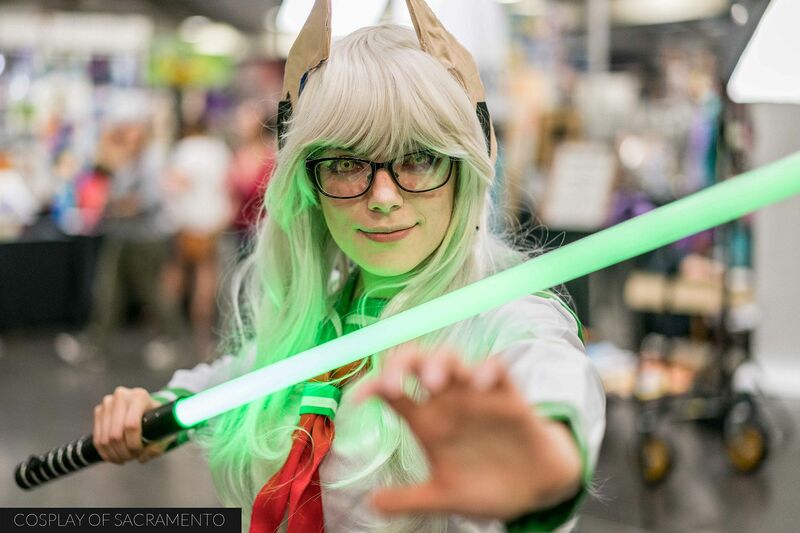 She was looking for cosplay photographers around Sacramento and I came up! We got in contact with each other and booked a date for a photoshoot. 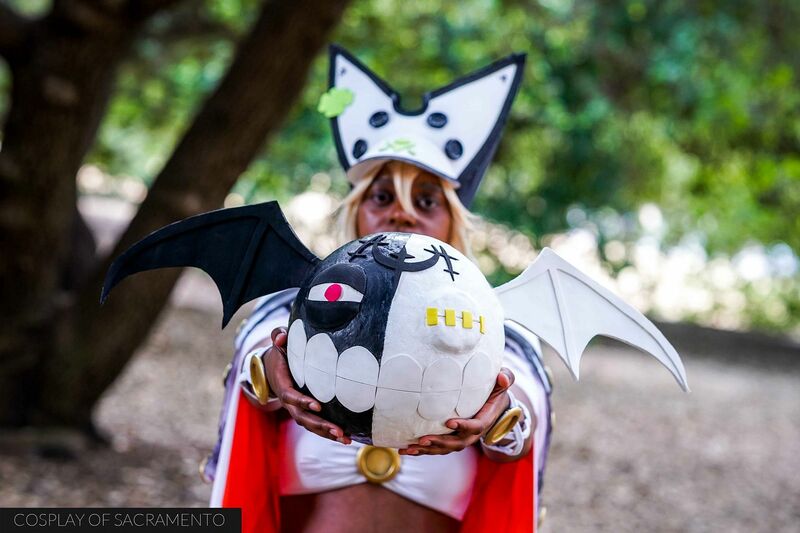 Munstress is a huge fan of Guilty Gear Xrd so she cosplayed Ramlethal Valentine from the game. 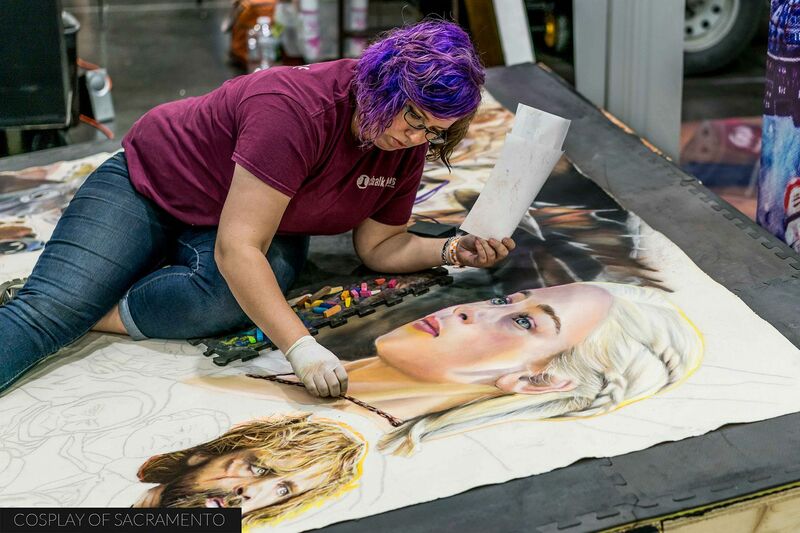 It was awesome to meet and work with her today - I really love meeting cosplayers from around the Sacramento area! Everything about Munstress' cosplay was awesome and she looked great in it. Munstress wanted to go with either an industrial background or something with a lot of trees. Being out of Davis, I went with the tree background. We actually shot in the same location that I shot the light and dark elves a little while back. I like to frequent the same location so that I can really get a good rapport with the environment. I find that when you do that, you get more comfortable and creative with the scenery. Not only did I shoot Munstress in her cosplay, I also was able to feature her hand-made prop from the game. I've said it before, but having props and extras to go with a cosplay really does bring it to life. I asked Munstress how she made this particular piece. If you're interested in hearing, she talks a little bit about it in the video I put together on this shoot. It was an absolute pleasure working with Munstress. She was open to suggestions posing around the area we were in. I highly recommend that you find her on Instragram (@munstress). Besides cosplay she does other modeling as well. Hopefully we'll be able to get together and do another shoot real soon! For this shoot I used the brand new Sony a9. It's a lower resolution camera than the Sony a7rii, but it is MUCH easier to work with. The a9 was a joy to shoot. The camera was quick and responded well every single time I needed it to. This camera is upping the game for Sony in comparison to their Canon and Nikon counterparts. There is no other camera like the a9, and I'm glad to be one of the early adopters of it! Check out my gallery of photos from this photoshoot by CLICKING HERE. Also be sure to watch my video below!